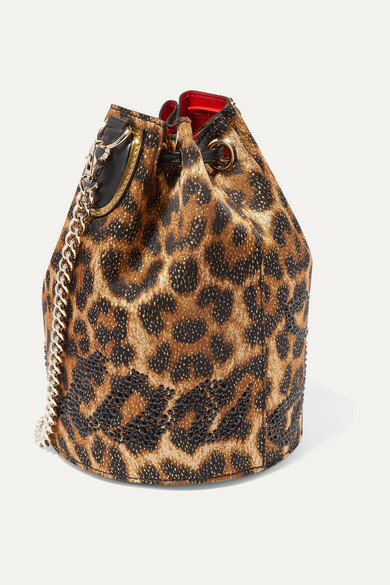 The latest addition to Christian Louboutin's bag collection, this 'Marie Jane' bucket style is made from leopard-print Lurex flecked with light-catching gold yarns. 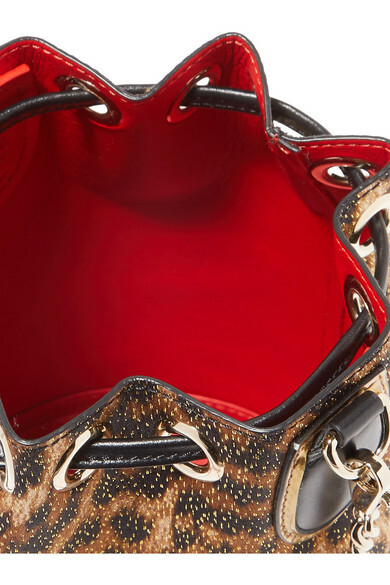 It has a sturdy leather base for structure and is embellished with the brand's logo in shimmering black crystals. Stow your wallet, keys and sunglasses in the signature red interior. 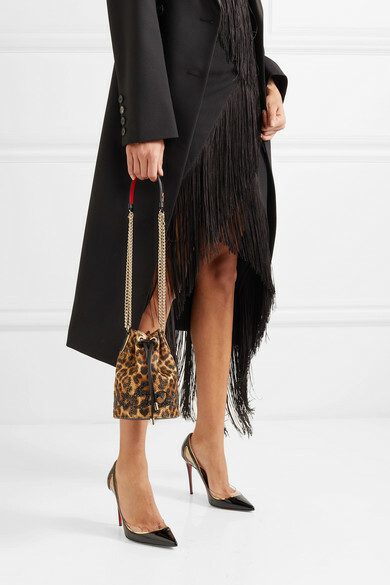 Shown here with: Givenchy Gown, Victoria Beckham Coat, Christian Louboutin Pumps, Leigh Miller Earrings.